A new mathematical model could help reduce traffic jams and accidents by controlling the reaction times of robotic cars, scientists say. Researchers led by Robert Szalai at the University of Bristol have developed a mathematical technique that predicts allows the calculation as to whether there is chances of a traffic jam from the flow of traffic. "The analytical nature ofOur research... means it could be used to understand all sort of systems, such as to design driver-less cars that could work well in a mixed human-robotic environment or control gene regulation in living organisms, for example suppress the expression of some harmful gene," Szalai said. 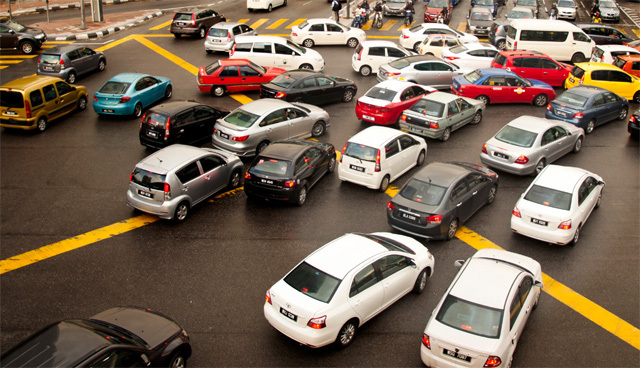 City traffic is made up of cars that are similar but not identical, the researchers said. Computer-driven cars are also similar, but react faster, and, through wireless communication, observe traffic that is not just in front of them. Current understanding of traffic is somewhat limited to identical cars. So, to design safe robotic drivers, the researchers needed to understand models that included non-identical participants. They found that using the design tool and controlling reaction times of robotic cars can reduce the possibility of traffic jams and accidents. ptiThe researchers hope to develop in the future more realistic car-following models and connectivity structures. They hope that by using similar mathematical equations the research can be used to understand all sorts of systems from robotic/human cars in traffic, gene regulatory networks and neural networks that could explain epileptic seizures. The study was published in Physical Review E.